All landscapes are complex systems which are continually changing as a result of relatively simple interactions. This condition of adaption and evolution is called emergence. Related to chaos theory and self-organising systems, emergence highlights the ever changing and developing urban and natural world – and the need to work flexibly within this. Just as an aborist must understand the development and functions of a tree in order to fully understand his actions in relation to it, so must a landscape architect understand the ecological functions of a specific terrain in order to appreciate how the landscape will respond to the conditions he establishes. This bottom-up approach is essential when dealing with the natural environment – and, as Barnett argues, the urban environment. 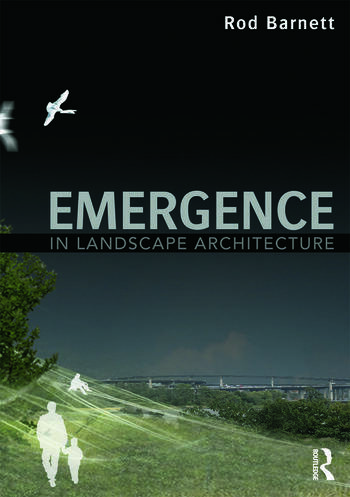 Covering critically the theory behind emergence in landscape architecture, the author also uses practical examples from international landscapes as a key tool in his mission to explain the basis of emergence and how it is essential to our understanding of both urban and natural systems. Ideal for students and educators in landscape architecture, landscape urbanism and architectural theory, this book provides a full discourse on the theory and practice behind emergence in landscape and features full colour images. Rod Barnett is Chair of the Master of Landscape Architecture programme at Auburn University. He has published extensively on emergence theory in landscape architecture and taught design studios using techniques he has developed to explore emergent processes in the landscapes both of cities and rural areas. He has designed landscapes in New Zealand, Australia, the Pacific Islands and the United States.